I typically use facial masks several times a week but recently I've realized that maybe I should also be doing more for my eyes. The undereye area can be prone to showing signs of aging and taking proper care of it can be tricky. I'm diligent with being gentle and using eye creams but I wondered if I could be more focused with my treatments. Enter the VIIcode O2M Oxygen Eye Mask. 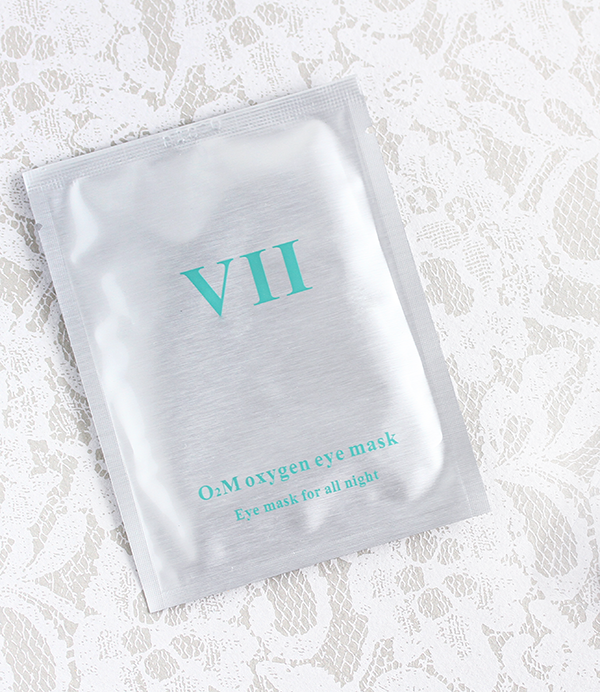 The VIIcode O2M Oxygen Eye Mask contains a variety of special plant oxygen extracts and deep sea biological extracts to repair the skin around the eyes, reduce dark circles, prevent wrinkles, crow’s feet, dryness and sagging. VIIcode (pronounced as "vee-two") was established by Dr. Byrne Victor who created the “Ageless Mystery” and became the first one to serve the customized skin care. He firmly believe that “Every woman could be the most beautiful in her own way and she could show this out”. 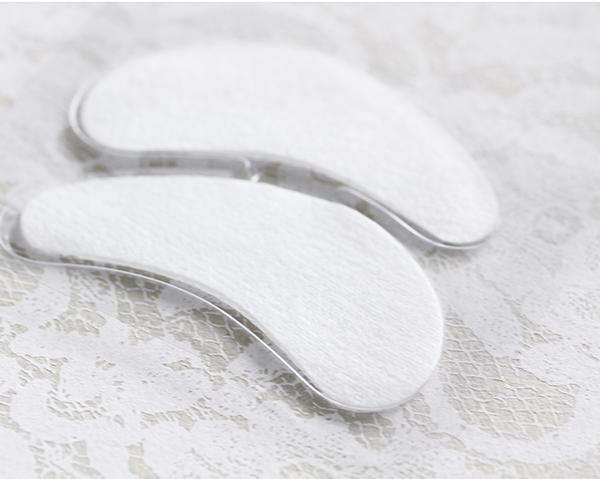 These eye patch style masks are meant to be applied after cleaning your face. 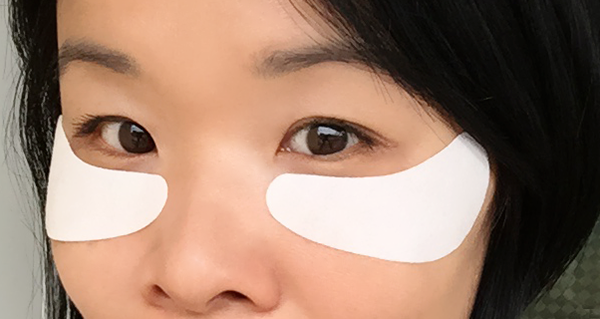 What sets this eye mask apart is that you can use them while you sleep so that the effects are boosted as the nutrients work overnight to do their hydrating and repairing thing. Each mask is individually packaged in a foil bag. I put mine on about 20 minutes before bed. They're made of a light membrane type material that feels almost gel-like with a slight cooling sensation which I didn't particularly care for but also didn't really bother me all that much. They attach gently and adhere quite well to the skin without moving. I shift around a bit when I sleep and the masks manage to stay in place through the night. Now do I wake up to new eyes? Well not exactly but my undereye area is smoother and more refreshed when I've used these. They didn't miraculously make my dark circles disappear but I did feel as if I looked more well rested. I think with continued use, it probably would have made more of a difference. The mask itself is soothing and i didn't experience any sensitivity to it. The brand recommends using the mask 2 - 3 times a week with 3 boxes for a full course of treatment for best results. This would be great but the one downside of this mask would be the cost which is $55 for a box of 6. While it's not prohibitive, it would be more of a splurge for me and at this point, I don't think my eyes require such intense treatment but it might be nice when I'm older and really have more of an issue with wrinkles. They do make one that specifically treats dark circles which I'm curious about. The VIIcode O2M Oxygen Mask is available on Amazon. You can learn more about the brand and their line of products through their website. 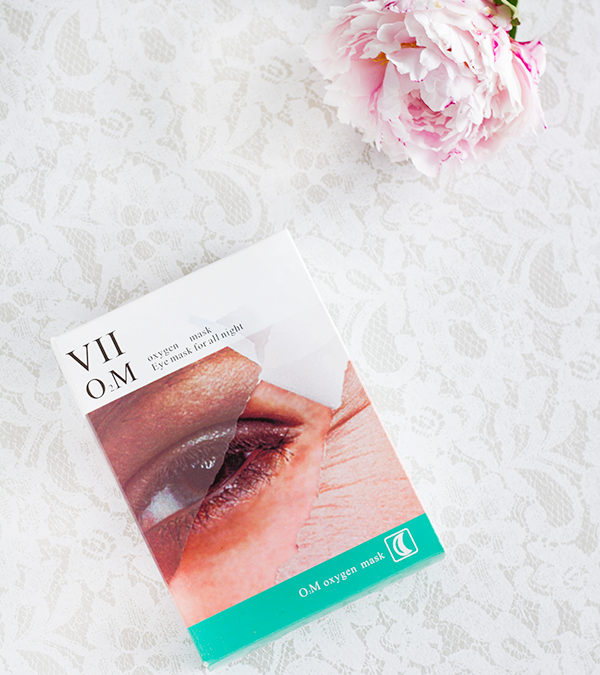 Have you ever used an eye treatment mask of any kind? How did it work? Happy Independence Day to all my friends and readers in the US! Disclosure: This post was sponsored by VIIcode and a press sample was provided for the purposes of this review. All opinions expressed are my own. These sound promising Rowena! I like that you're being proactive, instead of reactive. The under eye area is so delicate. I haven't used anything specific for under eyes lately. I think way back when I used L'Oreal's Revitalift and it was very hydrating. I have been trying a new skincare...REN (loving it)...so, I'm going to see if they anything specific for under-eye since the products are working for me. Your skin already looks pretty flawless and I'm sure your undereye area isn't any different! Sounds interesting though. My beautician in Belgium always used to say that my skin lacked oxygen. I have noticed some fine lines under eyes and it is quite alarming. Never thought this day would come so soon..ha. This sounds like an interesting product to try, Rowena. The price is steep for 6 pieces but will be worth if it works. Good to know the patches feel good, moisturized and light. So promising... I would like to try this mask!!! maybe the price isn't too much if those 6 patches really deliver a result....it's worth considering, that's for sure. I have only used a cream facial mask for eyes, I've not tried this one, but it sounds promising. Great review Rowena. Will have to check it out. <3 Happy holiday weekend to you. Especially their treatment of dark circles since mine are a genetic "gift" of my father! ;) And I can use those overnight?! Wow, so handy! I'm definitely gonna check it out, Rowena! 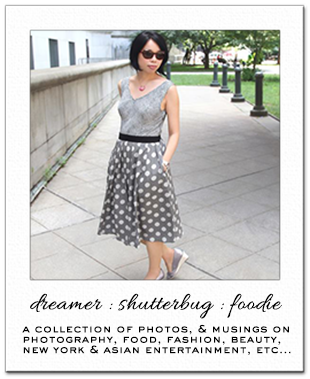 Thank you for the intersting review, dear! Happy Independence Day! These look great but yeah, the price is a bit steep! I'm so bad at looking after my eyes. Yes I would be curios about the one that treats dark circles though my problem is puffiness and fluid retention under the eye ( it is awful to deal with) and I have yet to find a product that really does a good job of combating that. Sounds very promising, Rowena. The price certainly is ....uhm heavy....Happy Fourth, Rowena. Great review. I'll have to check it out. I love that you can use while you sleep. Hope you are having a wonderful 4th of July! I have yet to find the right eye mask because my eyes are hyper-sensitive. This sounds promising and I love the brand concept! Very neat! I never do well with eye creams and so I kind of gave up on treatment and maintenance around the eyes but this looks hopeful!